Q. Do you barcode our files and boxes? A. Hansen Records Management will provide you with preprinted barcode labels for your boxes and custom forms free of charge. 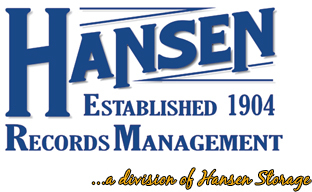 You will affix the labels to your boxes and Hansen Records Management will arrange for secure pickup of the cartons. Need a records storage quote?